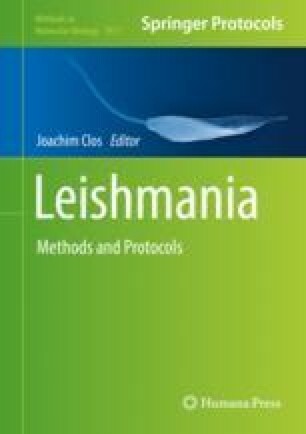 Leishmania is still a major cause of mortality and morbidity worldwide. Few efficient drugs are available, and resistance threatens actual treatments. In order to improve knowledge about the mode of action of current drugs and those in development, as well as to understand the mechanisms pertaining to their resistance, we recently described a sensitive and high-throughput method termed Cos-Seq. Here we provide a detailed protocol for every step of the procedure, from library construction to drug selection, cosmid extraction, and next-generation sequencing of extracted cosmids. A section on the bioinformatics of Cos-Seq is also included. Cos-Seq facilitates the identification of gain-of-function resistance mechanisms and drug targets and is a useful tool in resistance and drug development studies.